Shop From the leaders of quality! 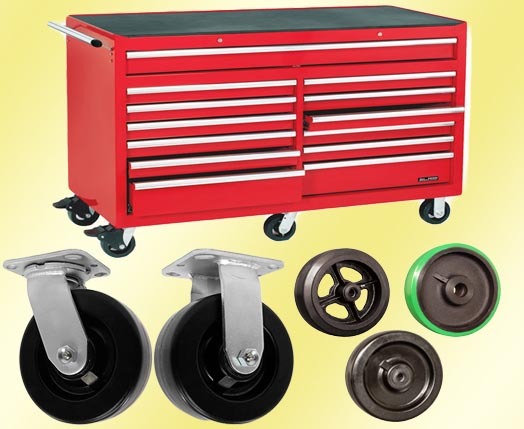 Buy Casters and Wheels - Lowest Prices Online - Price Match Guarantee! 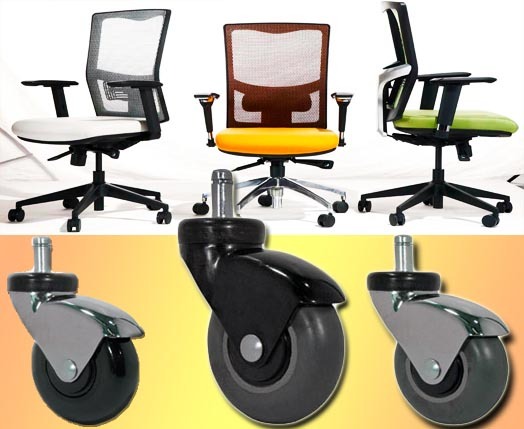 We offer very competitive wholesale pricing on all Casters and Wheels. If paid by credit card you will receive immediate volume pricing we recommend you Contact Us Here – If you wish to be setup with a company account subject to our terms and conditions you will need to fill out a credit application. Please contact us for more information for all Caster and Wheel needs. Caster Barn has one of the widest selections of Chair and Furniture casters, we only sell the highest quality products and nothing less. We have Replacement Casters for every Tool Box big or small. 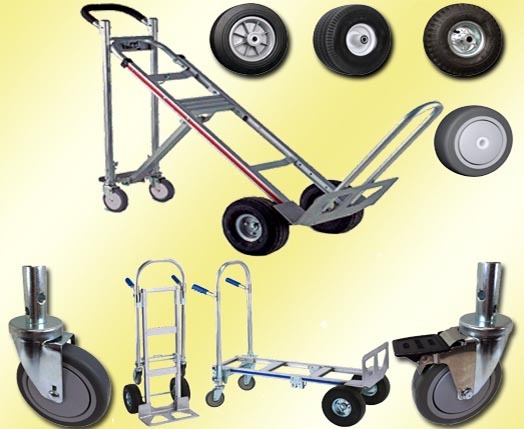 We are one of the only companies who offer a Universal Hand Truck Replacement Caster which fits on B&P, Harper, and Magliner type Hand Trucks. Our #1 Pledge is Quality! All Caster Barns; Casters, Wheels, and related Hardware are manufactured with the highest quality materials and standards using state of the art manufacturing technology. Our state of the art Engineering Test Lab performs product tests to meet the standards of the Institute of Caster and Wheel Manufacturers (ICWM), the National Sanitation Foundation (NSF), Restriction of Hazardous Substance (RoHS) and the special requirements of virtually all manufacturers. We stand behind our products; all Casters come with a 1 Year limited Manufacturer’s warranty, special Heavy Duty Casters and Wheels come with a 3 year limited manufactures warranty. 5" Universal OEM or replacement shopping cart caster.